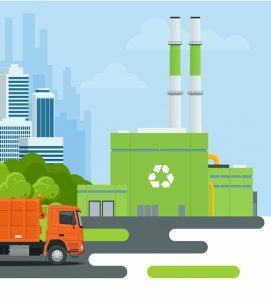 Because paper shreds are too small to sort during recycling compared to other materials, most recycling plants won’t accept them in small volumes. This means that you lose the chance to be sustainable if you shred your own files—and if you want to recycle instead, then you can’t shred. Watch the video or read the transcript below to find out how you can securely and sustainably shred your documents. What Happens If You Do Try to Recycle Shreds? Unfortunately, if you try to mix shreds in with your other recyclables they will go to a landfill. Since shreds can’t be sorted out from other materials, they end up mixed in with trash that can’t be recycled in a dumpster that sits at the end of the conveyor belt. While you can’t personally recycle shreds, when you use paper shredding services the provider creates enough shreds for a recycling facility that recycles paper shreds exclusively. After the shredding is complete, the shreds are taken to a recycling facility. Upon arrival, the recycling process begins by placing the shredded paper in vats to be chemically washed with heat applied. Once they’re broken down, the paper fibers are pressed through a screen to remove any contaminants. Afterwards, the paper fibers are washed to remove any remaining ink. Finally, the pulped paper is bonded, dried, and used for new paper products—keeping your shredding not just eco-friendly, but also secure because the paper shreds are completely destroyed. Need to Recycle Your Shreds? Shred Nations partners with secure and environmentally-conscious shredders throughout North America. Call us at (800) 747-3365 or fill out our form to get free quotes from shredding services near you.